My friend made these raspberry oat bars for a cake sale at my son’s school last month and, after tasting one, I immediately asked for the recipe. 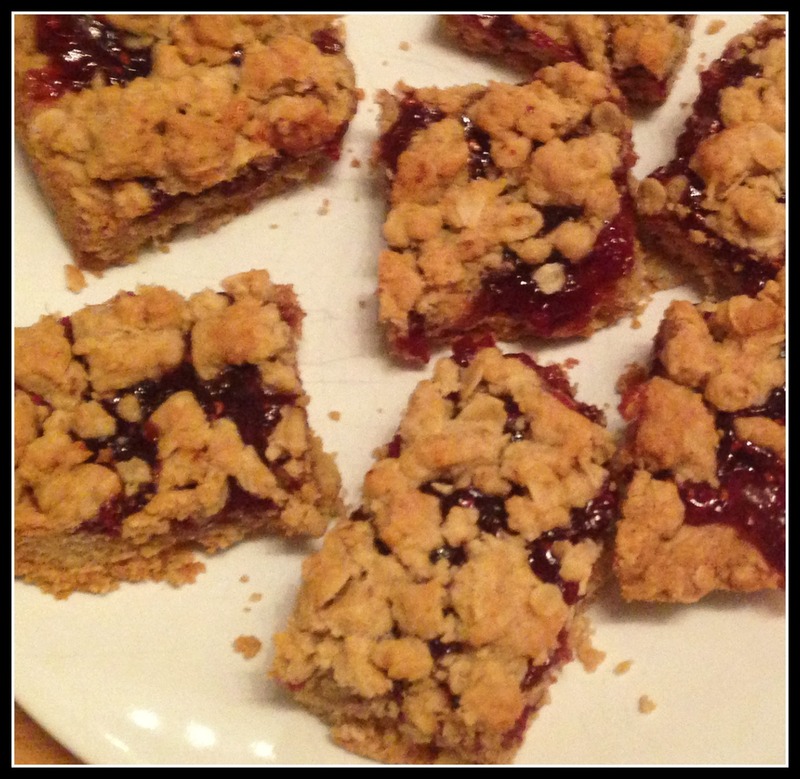 They’re super easy to make and the oaty crunchiness contrasts nicely with the gooey jam. If you use sugar free jam they’re not too sweet and make perfect lunch box treats. 1. Preheat the oven to 180c/Gas mark 4. Grease one 20cm (8 inch) square cake tin and line with baking parchment. 2. Combine brown sugar, flour, bicarbonate of soda, salt and porridge oats in a large bowl. Rub in the butter using your hands to form a crumbly mixture. 3. Press 3/4 of the mixture into the bottom of the prepared cake tin, reserving the rest for the topping. Spread the jam over the base but not quite to the edges as it will spread. 4. 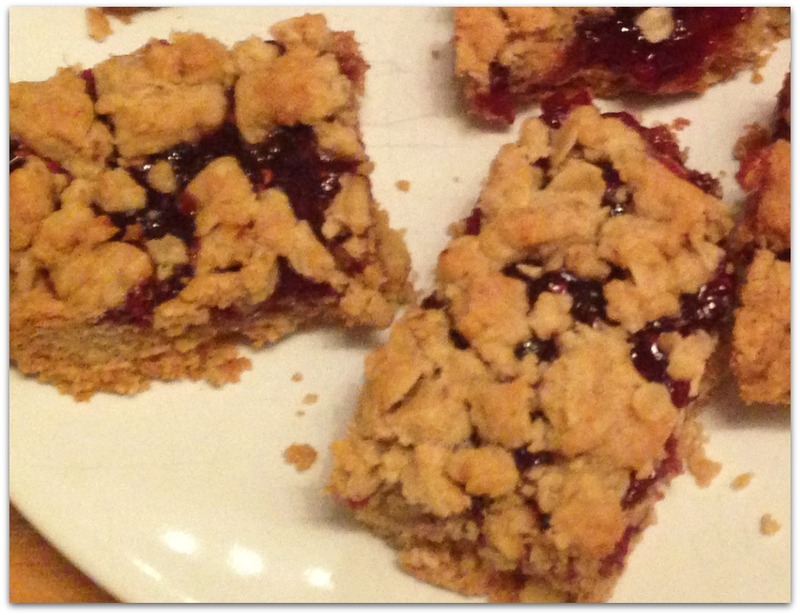 Sprinkle the remaining crumb mixture over the top and lightly press it into the jam. 5. Bake for 35 to 40 minutes in the preheated oven until lightly browned. Allow to cool before cutting into slices. Yum!!!! Have to try these. Looks scrumptious! These would never last long in our household! Thanks for the recipe! Making these today! YUM. Thanks for sharing. 🙂 My kids will adore them. Bookmarked – so excited to try them!